The Season will then officially start on Saturday April 22nd from 9.00 to 10.30am and run until Presentation Day August 19th. 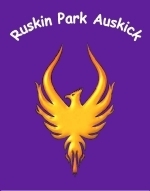 Ruskin Park Pay online Registration Feature is now open and this year the packs will be delivered to your door. Our Rego Fee is $96.00. The 2017 Auskick Season includes a fun filled Auskick Pack, Insurance, Special Events like Grandparent/Banner Day, Presentation Day & Trophy and 15 weeks of FOOTY ! Medical and Photo Consent forms need to be signed, they can be downloaded from Event Calendar heading on this page. Also available at Information Day 25th March. Come join in the fun at Ruskin Park's family friendly and relaxed setting! We are currently looking for Coaches so if you think you would like to take the next step, please don't hesitate, come and see me. We will provide full training and support.